Chad Pregracke grew up on the banks of the Mississippi River in northern Illinois and started working as a teenager on the river as a commercial mussel diver. It was then he noticed the amount of trash piling up along the banks. He decided to dedicate his life to clean the Mississippi River and its tributaries. In 1998 at 22 years old, Chad founded Living Lands & Waters, a 501©(3) non-profit river cleanup organization. What started with one man cleaning the Mississippi River in one boat, now equates to the only industrial strength river cleanup organization in the world! Spending up to 9 months a year living and traveling on a fleet of barges, the Living Lands & Waters' crew hosts river cleanups, watershed conservation initiatives, workshops, tree plantings and other key conservation efforts. With the help of over 100,000 volunteers, Chad and his crew have removed nearly 10 million pounds of trash from the Mississippi River basin. 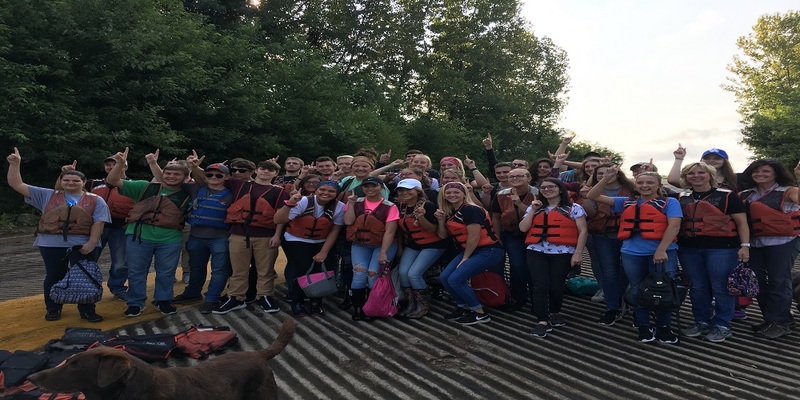 LL&W has focused their river cleanup efforts on the Ohio River since 2001, but in the last four years we’ve really been hitting it hard, hosting community-based river cleanups along with education workshops during our annual “Ohio River Tour”. With the help of dedicated individuals from local communities, school groups, organizations, corporate entities and more, we’ve removed close to 10 million pounds of debris. Our floating classroom offers a unique learning experience for students from all backgrounds to become aware of our conservation efforts and get motivated to join in! Through hands on lab activities, students learn about different problems our freshwater ecosystems are facing. One of the activities we offer is “Water Quality Testing”. In this activity students gather important water quality data including levels of nitrates, phosphates, and acidity while learning about factors that contribute to changes in these levels in our river systems, as well as ways to improve water quality. 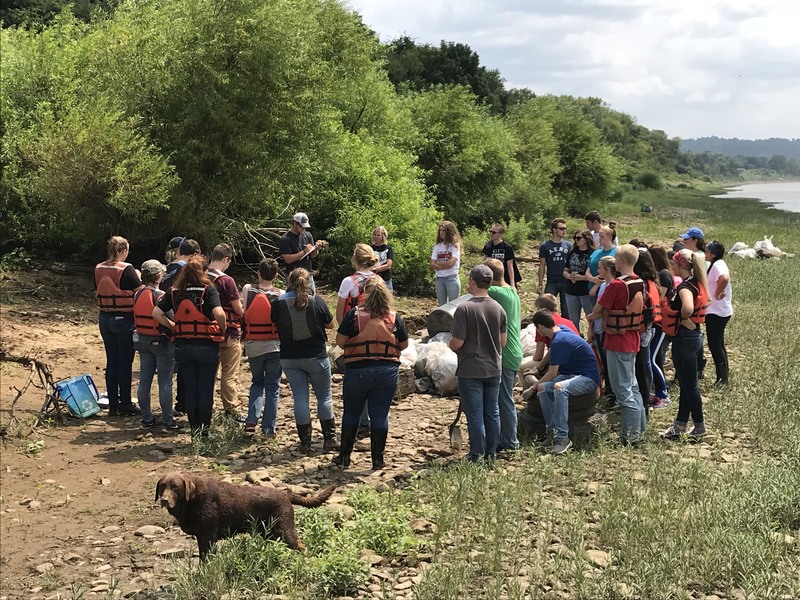 Through this program we aim to teach students where their drinking water comes from, how different examples of point and nonpoint source pollution enter the river, and how individuals can positively impact the health of the watershed they live in. By enlightening young minds to the different types of pollution found in our rivers, our goal is that students leave inspired to start conservation initiatives in their schools and home towns, such as building rain gardens or rain barrels, or starting a recycling program at their school. Partnering with EarthEcho International has given us a tangible database to record and analyze our data to assess changes in the waterways we visit. This fall, we will be working on the upper Ohio River, hosting community-based river cleanups and student workshops. We encourage you to follow along with our work by visiting www.livinglandsandwaters.org and connecting with us on social media. Editor’s Note: Meghan Elgan is the Educational Coordinator for Living Lands & Waters. We are proud to partner with Living Lands & Waters to support their efforts to empower young water stewards through experiential learning and service programs.